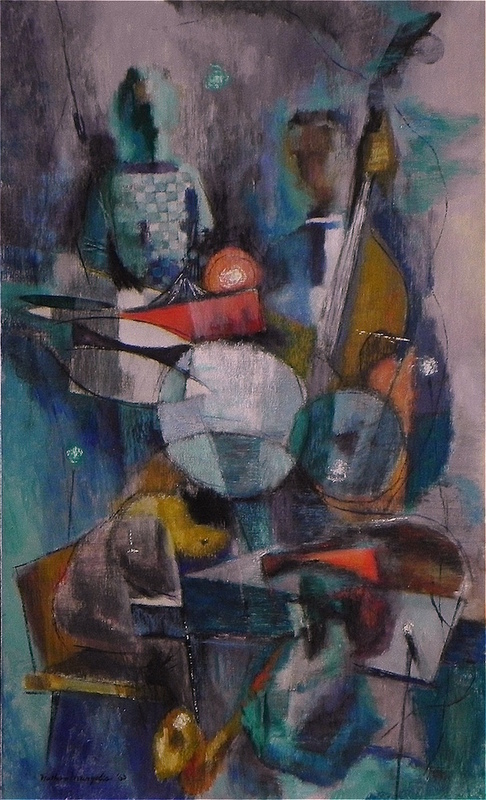 Philadelphia artist Nathan Margolis, 1908-1964, collection of paintings and prints that expresses contemporary styles and social commentary of the mid 20th century. His work ranges from social realism to modernism, with an extensive list of national exhibitions and prizes since 1933 include the Pennsylvania Academy, Chicago Art Institutde, Connecticut Academy of Fine Arts, Associated American Artists, etc. Many of the paintings were done in his Asbury Studios, which was his home in the Oak Lane section of Philadelphia. View a sample of the collection under Artist Estates. Please contact us with any questions at negallery@gmail.com.